← Google Sheets + Query = Hell YEAH! Inventory – Just do it! For the past three weeks I’ve been putting together an inventory for our school. We’ve never had one here before so I thought it was time to make that change, but this post will explain why we did it, how we did it and how we will use it going forward. I will start off by explaining why we didn’t have an inventory in place and what prompted me to decide now was a good time to set one up. My school is small, less than 500 students and it only goes up to 8th grade. Like a lot of schools (large and small) widespread WiFi is pretty new. Less than 5 years old. Before that we had desktop computers, plugged into our local network with an ethernet cable. So if we had a room, we most likely had a desktop computer in it. Taking inventory would be as quick as looking at a map and counting. With WiFi at the school people no longer wanted desktops. They wanted laptops. Fair enough, now we have devices that are no longer “chained” to a desk and most likely leave the campus every night when our teachers would go home. This would have been an ideal time to start the inventory. Now we have student iPads, computer carts, teacher iPads and spare laptops. Now there are a lot of moving devices on and off campus – I felt an inventory was essential. A lot of people think that the purpose of an inventory is track who has what device and you know what? They’re not wrong. It is good to know who has what device and to track any problems with the device and so on. Having a record of the device itself is also valuable. If we know it is a device that is constantly causing issues, then it may have to be taken out of service for repair or replaced. An inventory helps you track these issues. Also, when budget time rolls around it is good to know how many older devices we have and how many of those we need to recycle and replace. Instead of guessing, jotting down notes, setting up multiple meetings with people, you can run a report and discuss who has what device and if it does need to be replaced. Now you have concrete numbers to work with, not just educated guesses. When you are dealing with concrete numbers, then you greatly reduce the risk of over or underbuying a product. This is a good. There are a lot of inventory systems out there and most are expensive. I didn’t want to spend money on this system. As I mentioned we are a small school with one campus. Most proprietary systems are way more than what we need. Here is what I wanted. A system with a lot of search features, a number of fields that I could manipulate for each device and a way to export that data (PDF, CSV or Excel). Oh yeah, I didn’t want to pay for it or pay very little (ideally less than $100/year). I found (thanks Tony) GLPI. This is a free open source inventory and ticketing system. It does a lot more than just that, but this is all I needed. There are others out there, Spiceworks and OCS. They seemed pretty good but I was familiar with GLPI and I didn’t see a real advantage of the others. There is a catch with open source software. There is no support line. You need to trouble shoot it all on your own. Also, you need to host it. We have it hosted locally on a Mac Mini using MAMP (which is also free). I’ll write more about how to set up GLPI and MAMP on a Mac – it’s easy and you don’t need to be a super techy person either. Once installed, I started to configure it. I wanted to know where in the school (middle school, lower school, office, etc. ), if it was working, who was using it, inventory number, serial number, etc. Check out the screen shot below. When I add a device, it looks like this. I have a few templates. They basically fill in some basic information about the device ahead of time. Then I can input all the information I need. If you are setting up your own, don’t feel the need to fill in al the information. Only record what you need. Sometimes too much information just gets in the way. This info is basically all that I needed. With this info, I can tell if the device is allocated to a student or faculty member, where, who, what type of device (which gives me a solid idea of how old it is) and if it was a student, when they graduate. From that first screen. I am able to search based on any of those criteria that I inputed. 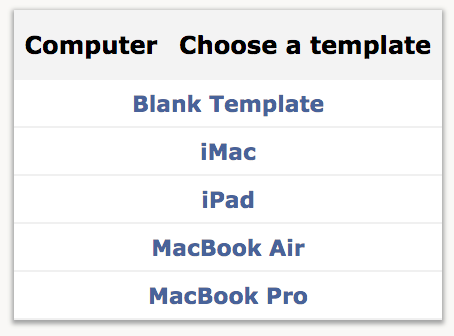 So, if I want to see how many MacBook Air computers we have allocated to students, I can see that! If I want to export that search result, I have a bunch of options. 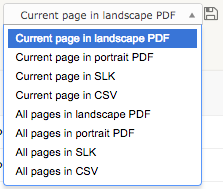 I can do PDF, CSV or SLK (apparently this is Microsoft format meant to transfer info from databases to spreadsheets). The system wasn’t entirely free. The software (GLPI and MAMP) was free, but I wanted a bar code scanner and a label maker. Here is what I purchased (all from Amazon). 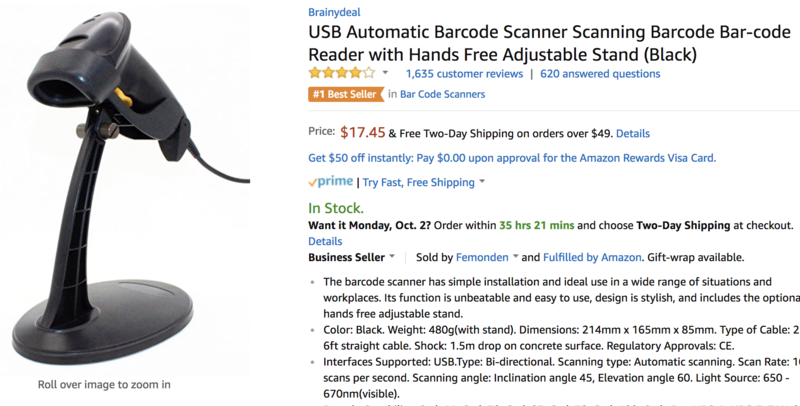 The bar code scanner is this guy. He s cheap and seems somewhat reliable and so far has worked fine. For the label maker I went with Brother. They make good label makers and I wanted one that I could connect to my computer and print out a bunch at once. Brother has some software that allows it to pull data from a CSV file so it will print lists of people. Nice. I spent a little more than I wanted and picked up this guy. DON’T BUY FROM BROTHER DIRECT!! This same printer was $150 MORE! Then I bought some label tape. I bought black on white but made sure to get the extra strength. I wanted to get the silver with black letters, but I found out that the barcode reader will not read them reliably. As I mentioned before, I can use this data in a variety of ways. Of course I can track who has what and even record anecdotal notes such as the condition, minor observable damages, etc. Our school is in the midst of reaccreditation and this data will be very useful for our report. We can say how many devices students have, the ratios of those devices to students in each grade and really demonstrate how many opportunities students have to engage and utilize technology. From a budget perspective, I now have a very clear understanding of what devices we have and what we need. We budgeted that our devices should be replaced every four years. Running a few reports on GLPI will give me a specific number of what devices are ready to be recycled. No guesswork anymore. We know that we have 47 devices that meet that criteria and therefore that’s what we need to order. If a teacher wants more devices, since we have such a strong sense of what the budget will be, we can sit down and talk options. It’s not one of those Well, let’s wait and see, situations. You know how many devices you need, you know the price, you have a working budget and should be able to talk intelligently with that person about what to expect. Inventories are important, but they don’t need to be done just at the upper echelons of administration. You can use GLPI for a lot of different situations. You could use it to set up your own classroom library. This way you could track who has what book and how popular some books are compared to others! Ever try to keep track of theater or IT equipment? This could be your answer. Know who is working with what and for how long. I am sure there are other examples too, please leave your ideas and examples in the comments section! This entry was posted in Helpful Tips, Patrick Cauley and tagged budget, glpi, inventory, planning. Bookmark the permalink. 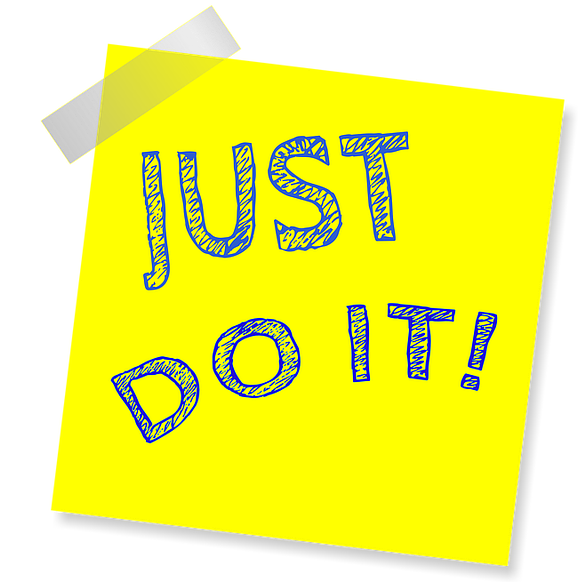 1 Response to Inventory – Just do it!